Tencent Games, in sponsorship with OPPO Mobile, is hosting PUBG Mobile Campus Championship, a first-of-its-kind mobile gaming tournament targeted specifically at college students across India. As the championship follows the game's massive success in the country. 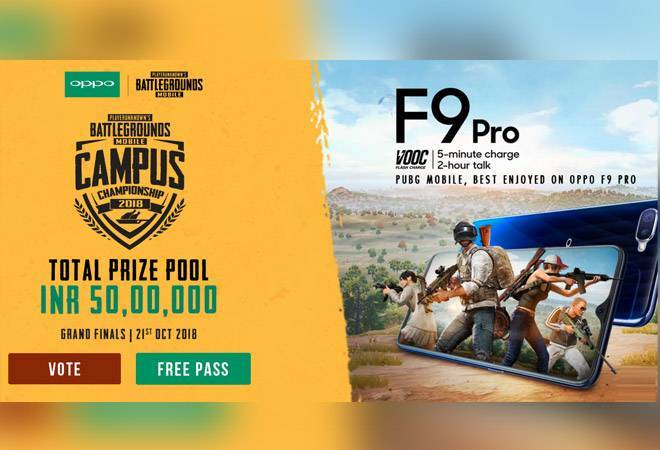 Tencent Games, in sponsorship with OPPO Mobile, is hosting PUBG Mobile Campus Championship, a first-of-its-kind mobile gaming tournament targeted specifically at college students across India. As the championship follows the game's massive success in the country, the tournament, which kicked off on September 26, has received 2,50,000 registrations from over 1000 colleges across 30 cities. Of these, the first 10,000 teams to have checked in played in the online qualifiers. The eSports tournament requires four players teaming up in 'Squad' mode and battling it out in the popular game map "Erangel". The online qualifiers featured a total of 600 matches in 4 knockout rounds over 12 days of qualifiers. Commenting on the tournament, Aneesh Aravind, General Manager, Tencent Games, India said, "The response from the Indian student community to the PUBG MOBILE Campus Championship has been tremendous. The sheer number of registrations is very good news for us and is a testament to the outstanding popularity of PUBG MOBILE in India, and we hope that this tournament will go a long way in taking eSports to the next level in India. We look forward to an action-packed finale and see the best team emerge as the winner."